A look inside the research and development approach that continues to deliver as the company celebrates its ninth decade. 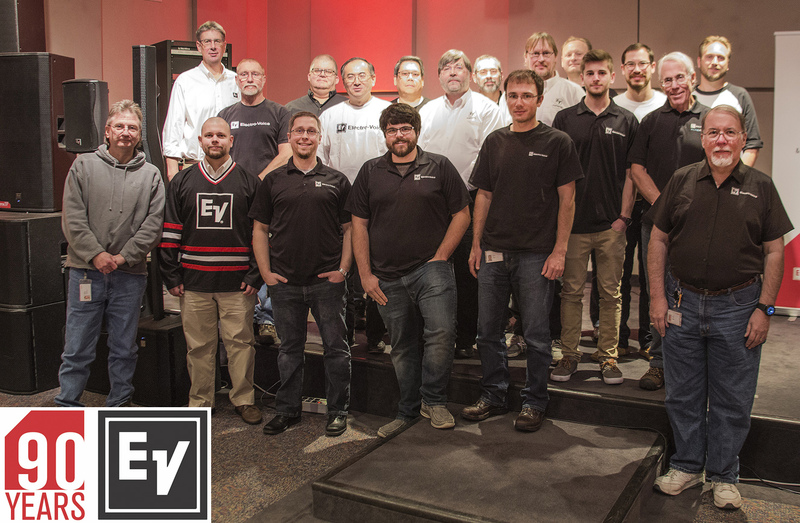 Dave Carlson: front row, far left; Mike Kasten: front row, third from left; Bill Gelow: middle row, far right, and the EV Engineering team at HQ in Burnsville, MN. At Electro-Voice, sound quality is paramount. It’s been that way across the company’s illustrious 90-year history, and has never been more so than today. The backbone of the effort is a world-class research and development team, which works in state-of-the-art facilities stocked with leading-edge tools at company headquarters in Burnsville, MN, just outside of Minneapolis. 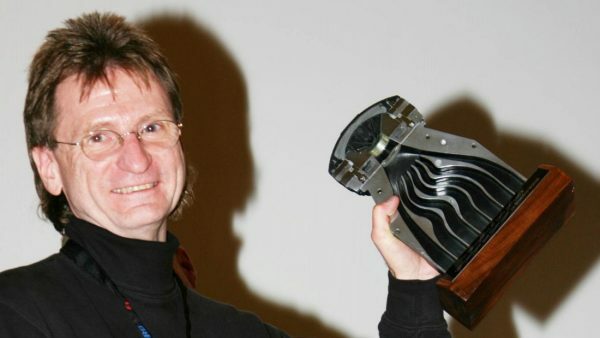 “It all starts with the people, and what we seek from every member of our team is the right combination of solid, foundational engineering skills blended with creativity and passion,” explains director of engineering Bill Gelow, who’s led the department for more than 17 years following key roles with several top professional audio manufacturers. The bedrock of the EV approach to product advancement is exuded by chief engineer Dave Carlson, who’s played an enormous role in the development of numerous game-changing (and patented) loudspeaker technologies over more than three decades with the company, working with great group of younger talent such as principal engineer Mike Kasten, who came aboard immediately after earning a degree at Michigan Tech. While at Michigan Tech several years ago, Mike Kasten working with the AES chapter in building actual working loudspeakers utilizing snow and ice, plentiful in the region’s winters. He’s since transitioned to loudspeaker system design, including participating in the transducer development that’s key to the success of those systems. Over time the role has expanded to all facets of loudspeaker systems: “Everything from cabinets to rubber feet and everything in between,” he notes with a laugh. Carlson, meanwhile, serves as the “glue” of the loudspeaker development program. Since joining the team in 1985, he’s contributed to countless systems, including Manifold Technology, X-Array and X-Line concert systems, and has mentored many new pro audio engineers along the way in step with these developments in system design. Carlson too possesses the multi-discipline skill-set that’s a hallmark of the EV engineering team, beginning with a primary focus on large-scale sound reinforcement systems that continues to this day, along with transitioning to also working with transducers and horn design. “It’s a little bit of everything, contributing what I’ve learned as well as fostering the work of others,” he explains. Dave Carlson with the Hydra plane-wave generator. This is a main theme throughout the EV engineering group: a diverse set of engineers working side by side, sharing what they know with each other. With new engineers working alongside seasoned veterans on all EV engineering projects, it’s a rich learning environment, and sometimes it’s the veterans who learn from the younger team members.